With recent storms and heavy rains this week, haying has been placed on hold. Yields are quite variable, with some very disappointing yields being reported in western and central Ontario (60 – 100% of normal). Yields are closer to normal (85- 100%) in eastern Ontario. Dry weather in late-April and May limited forage growth and yield (particularly grassier fields), but other factors have contributed as well, including winter injury, fall cutting, poor fertility, and frost damage. However, some high quality 1st-cut haylage, baleage and dry hay has been made. With lots of moisture now, applying nitrogen to second-cut regrowth of grassy fields will provide extra yield. 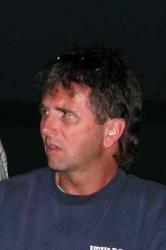 (Apply Nitrogen To Grass Stands To Increase Yield http://fieldcropnews.com/?p=6830) There have been a few isolated reports of hail damage to alfalfa. 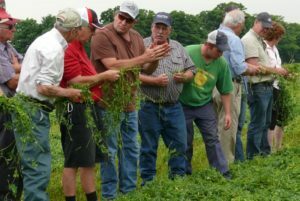 To help make decisions, refer to http://ipcm.wisc.edu/blog/2012/05/managing-hail-damaged-alfalfa-and-red-clover/ by Dr Dan Undersander, University of Wisconsin. With some concern about adequate forage inventories, it is important to minimize hay harvest and storage losses. Remove hay bales from the field as soon as possible to prevent spoilage and minimize traffic damage of regrowth. Store dry hay under cover and off the ground to prevent spoilage. Proper hay sheds are easier to justify with the currently higher hay prices.